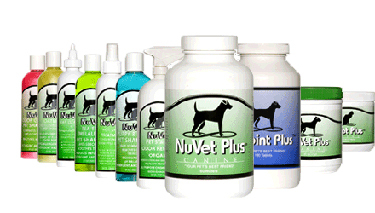 Start your pet on the path to prefect health with NuVet Plus! Your pet deserves the best. Give your love back with NuVet Plus - Watch the video to learn how NuVet Plus can help your pet. Here is another product manufactured by NuVet Labs that you might like to try. NuJoint Plus is a Hip and Joint Therapy that Works for Dogs of All Ages! NuVet Labs® spent over 8 years to create a supplement designed to provide the best immune system support possible. To accomplish this they put together a team of top scientific, medical and pet industry professionals that shared their desire to find real solutions to an ever growing pet health dilemma. 19 years later, they continue their mission to help our furry friends stay healthy for years to come. NuVet Plus is much more than a vitamin… It’s a treat pets LOVE! 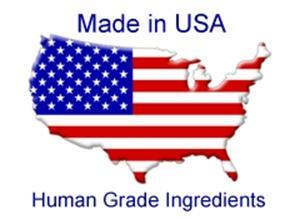 NuVet® products are made in a FDA registered laboratory with natural, human-grade ingredients specially compounded to deliver the most effective nutritional health benefits. Utilizing the latest advances in medical and nutritional science, they apply state of the art manufacturing technologies to help maintain a standard of product quality and integrity that is virtually unheard of in the pet industry. Their pledge to the millions of pets, and to their human families, is to continually produce the most powerful nutritional supplements that support your pets’ health and keep them that way for a lifetime. They truly share our passion for pets! They offer a 60-day money-back satisfaction guarantee for first time orders. If after trying the product you are not satisfied you may contact customer service for information to return the product within 60 days from purchase. They will then refund 100% of the product price (shipping & handling is non-refundable) upon receipt of your return. My pet’s food already has the “same” vitamins, is it okay to give extra vitamins? The manufacturing process of pet food is essential to keeping the quality of food high. Pet foods that are cooked (almost all) tend to kill off vital and naturally occurring nutrients from many of the ingredients. For instance, vegetables, when you cook them, you’re cooking away crucial minerals, enzymes, and vitamins. This is why many food companies may add synthetic vitamins. Unfortunately, synthetic vitamins are not absorbed the same as are natural vitamins (like those contained in the NuVet Plus®). NuVet Labs uses a “cold processing” method in our manufacturing practices and none of our ingredients are exposed to heat, which removes crucial nutrients in the natural ingredients. Take, for example, the chicken liver. We use real chicken liver that is paddle-dried using a patented process. This ensures the fragile Vitamins A, E, B1, Digestive Enzymes and Omega Fatty Acids are not destroyed. The “cold-processing” of NuVet Plus® ingredients also ensures it is easy on the metabolism of your pet.